National Award Winners for the year 2015. SS Rajamouli's Baahubali and Krish Kanche film's has won the National Award for the year 2015 and creates history from South Region. The film Baahubali has won National Award as the Best Film Category and Kanche turns to be the Best Regional Film from Telugu Category starring Varun Tej in lead role. Here is how the celebs reacted on the pride of Telugu Films winning moments. Venkatesh: "A proud moment for South Indian Cinema as "BAAHUBALI" wins the national award for the Best Film and Best Visual Effects. 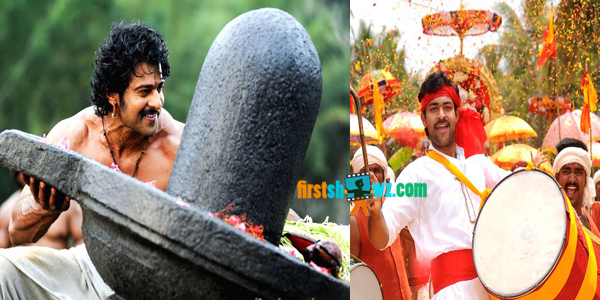 Rajamouli and team Baahubali have set the benchmark for South Indian Cinema to follow. Hearty congratulations Rajamouli, Shobhu, Prabhas, Rana, Anushka and the entire team of actors, technicians and support staff!" Nagarjuna Akkineni: Congratulations to the #Baahubali team on the National award. @ssrajamouli you make us all proud! Gopichand Malineni: Congratulations to @ssrajamouli Garu and whole team of #Baahubali got national award for the best film.Pride of our Telugu cinema. Shanvi : Very very well deserved !! Congrats to the team #Baahubali !! Great achievement for Telugu industry :) glad!! Ram Achanta: #Baahubali made us proud again.SSR garu is truly the pride of we telugu's.Congrats to the whole team. Congrats to the whole team of #kanche for winning the best regional national award. Allari Naresh: #Baahubali makes us proud again by winning the National award for Best Film. Congrats @ssrajamouli sir & team! Varun Tej: Humbled to be part of a national award-winning film thanks to the captain of #kanche @DirKrish and our entire team!!.. Nikesha Patel: #Kanche Congratulations to the entire team of #Kanche..@IAmVarunTej @DirKrish @itsmepragya great news!!!! Firstshowz.com congratulates the winners of National Award and hope it brings pride in coming years too.